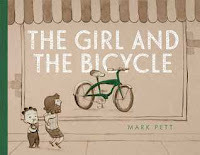 One of two wordless picture books in my list this year, both of which can be described as sweet and touching. 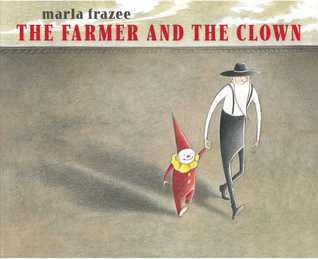 Interestingly, there were a number of comments in Goodreads from people who liked the book despite the fact that "clowns freak me out". 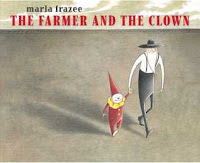 It's nice to know this story of a friendship between a farmer and a little clown can overcome a common fear! 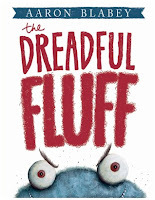 Aaron Blabey is one of my favourite picture book author/illustrators. This book is described as "The world's first book about evil belly-button fluff". What more do I need to say?! This is a sensitive book dealing with the death of child's cat. It also deals with moving on and getting a new pet when the time is right, and that it is OK to love another pet. 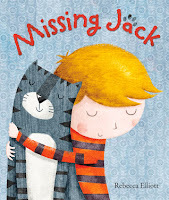 A really good book to have on hand for students who experience the loss of a beloved pet. Here's the other sweet and touching wordless picture book I read last year. 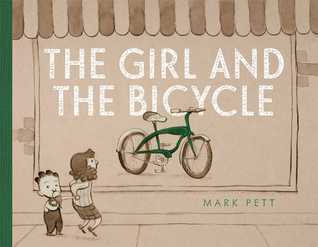 A girl sees a bike in a shop window and works hard for her neighbour in order to save enough money to buy it. An unexpected twist to the story brings in lovely demonstrations of generosity. A touching and heartwarming....nah, just kidding! This is a fun book about a boy who takes a bath and then starts running around NAKED! It reminds me of when my boys were little and people told me to give them a nice relaxing bath before bed. Instead they came out energised and I ended up chasing round after them trying to get them to put their clothes back on! 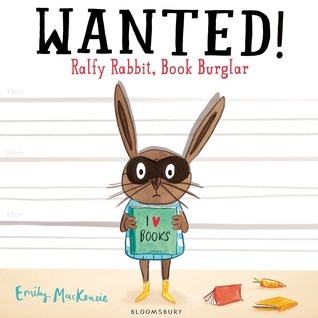 Ralfy Rabbit loves books so much he starts taking other people's. Arthur is the little boy who notices his books are going missing and sets a trap to catch Ralfy. One that book lovers will definitely appreciate. 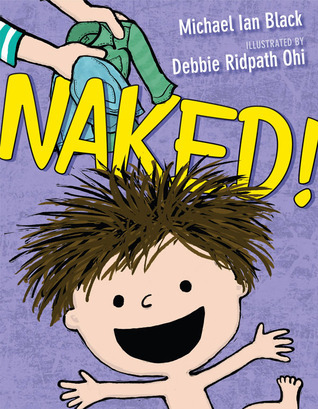 This is a very quirky book and I love quirky so I love this book. 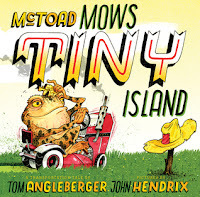 McToad employs just about every form of transport you can think of in order to get his lawnmower to a very tiny island and mow it. Then he mows one strip and takes a rest. Which is my favourite part that you can't really appreciate unless you read the book. So read it! 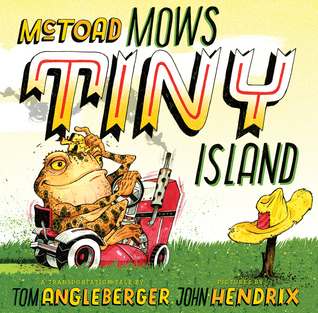 But only if you can handle absurd and ludicrous, this is not a book for the logical mind (yes he could keep a mower on the island, but that wouldn't be nearly as fun!). This book started appearing on some 'Best of' lists near the end of the year so I decided to have a look at it. It features Dot, a spirited bunny who is the reluctant big sister to a baby wolf. She has the best comeback line ever when she threatens to eat a bear. The bear points out that he is bigger than her. "I'll start on your toes" she replies. Gorgeous. 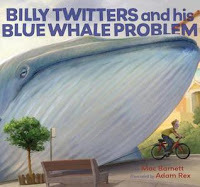 Another book being talked about a lot, this is not one I would have chosen based on its cover. 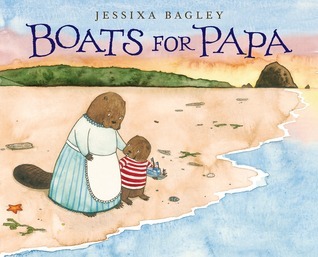 Inside though, the story deals with the absence of Buckley's father in an understated and tender way. This book was published in 2009 and the reason I bought it was because Mac Barnett told a lovely story about it in a TED talk (below). The whole talk is interesting but if you want to hear about Billy Twitters specifically then start at 11:53. 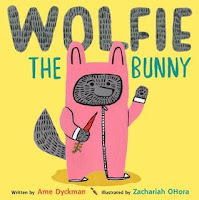 Here are my posts about my 5 star reads for children's fiction and graphic novels, and also children's non-fiction (many of which are in picture book format).